There’s a condition I’ve seen with some regularity over the years and its called Micturition Syncope. In layman’s terms it means blacking out when you pee. Sounds like a bit of a giggle but this really is a bit of a serious and sinister problem. It most commonly effects men and in my experience I have seen a number of men over the years tell me that they get up from a warm bed in the middle of the night to go to the bathroom where the floor is cold and it is often dark. They start to pee then wake up subsequently folded up around the base of the toilet wondering what happened to them. They have suffered Micturition Syncope or a blackout when peeing. Why does this occur? Well, if you get out of a warm bed your blood vessels are dilated so your blood pressure may be low. There are nerves that are connected with the bladder that can further lower your BP. This combination can lead to a precipitous drop in blood pressure and drop of blood to the brain and the unsuspecting man who is relieving blacks out. It is important to be sure of this diagnosis and of course it requires other testing to make sure there are no other reasons for this situation. However, if the heart is otherwise normal and there is no documented rhythm disturbance and no coronary artery disease then this diagnosis can be made. My advice is pretty simple and I say to the man this is not an easy disease to treat but the best thing you can do is when you get up during the night to go to the bathroom, sit down to pee. This condition is a blood pressure and nerve related condition and is not related to coronary artery disease. With appropriate planning the impact of micturition syncope should be minimal. 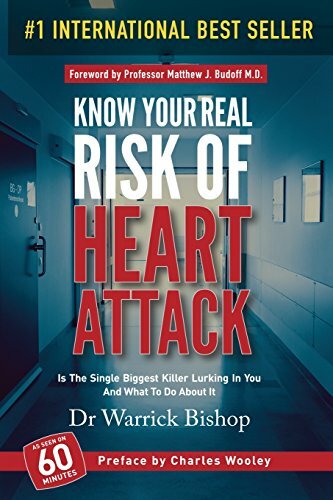 Though scary when it first occurs, some of these patients would like or warrant further evaluation of their heart, just to check out that their arteries are OK. In that situation I will often speak to them regarding Cardiac CT Imaging. There is a fair bit of detail around this sort of discussion and I have included it in a book I have written to help patients understand if that sort of testing would be helpful for them or not. Certainly the chance of a thorough check for some patients is reassuring and allows future planning. For your own health I encourage you to be proactive, as I believe prevention is better than cure. Good Health.